As Solo Moms, we’ve all faced that middle of the night or early morning question: How sick is my kid? As we take temps and assess little faces, we’re also weighing what we would miss at work if we stayed home. This decision typically comes with a sense of dread. Some Solo Moms may have days left in the “sick bank”—but almost half of us do not. Only four out of ten workers in the United States get paid sick time, and there are currently no federal legal requirements to provide paid sick leave. Betsey Stevenson of the White House Council of Economic Advisers states that 39 percent of private-sector workers do not have any sick leave at all. Not a single day. Until that changes, Solo Moms must balance the demands of their jobs with the inevitability of waking up to a sick child. It’s not just the money we stand to lose: it’s also the good graces of our coworkers. If you’ve ever wondered if your childless or partnered coworkers resent you taking time off to care for sick kids, the answer is probably. While writing this article, I mentioned this topic to three close friends who’ve never raised kids. I can summarize their sentiments like this: It’s tiresome that parents get so many perks, and we can’t say anything without being viewed as family-unfriendly and kind of heartless. Several years ago, the Families and Work Institute in New York City conducted a survey asking, “How do you feel about parents taking time off or leaving work early to take care of their kids?” The not-so-surprising results: about four in ten workers resented their fellow employees for receiving time off to attend to children’s needs. In addition, the participants mentioned having to cover the work that the parent leaves behind. Covering for an absent parent is often expected in the workplace, but it’s rarely compensated. Many childless workers also feel their needs, such as taking care of aging parents, are not recognized in the workforce as readily as the needs of parents. This issue takes a toll beyond simple workplace logistics: moms’ health. Many Solo Mom’s go to work when they are under the weather to save sick days for their children. With time off in limited supply and patience with coworkers wearing thin, moms often drag themselves to work when they’re sick. Sickness is unavoidable and workplace rules and norms are slow to change. So Solo Moms need to have a plan if they want master this balancing act. Before the fever strikes, cultivate a list of emergency caregivers. Here’s where to start looking. Make an agreement with another Solo Mom who works from home or has more job flexibility. Offer payment or trade help that you’re able to offer. Community centers and churches often have lists of college students or moms who will do occasional sitting, even for a child who is not feeling well. Use an on-call nanny service. These services have prescreened nannies, some of whom have specialized skills, such as experience in the medical field that will enable them to watch an ill child. With any of these providers, it’s a good idea to have them visit and play with your child a few times before sickness strikes so the unfamiliarity isn’t off-putting when they show up and your child is sick. If you absolutely have to stay home and care for your sick child, call work and tell them briefly why you have to stay home and how you plan to cover the work. If you can keep up with email or take calls from home, let your boss know. The best advice? Know that being a Solo Mom has its challenges and accept them. When you can, volunteer to stay late, work during lunch, or bring work home over the weekend. 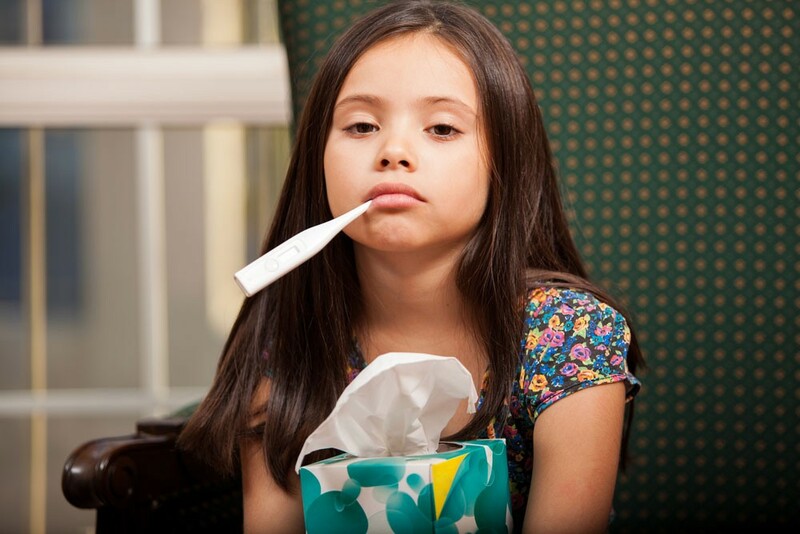 You will be seen as a team player and an undeniable asset even if you have less flexibility when your child is sick.